Caulton Wayne Tudor, an Angier native and longtime sportswriter for the Raleigh Times, News & Observer and Capitol Broadcasting Co., died Nov. 1, 2017 after an extended illness. Tudor, known as "Toot" to his friends and "Tuesday" to his three grandsons, was born June 30, 1947, and attended East Carolina University. He began his long and award-winning sports writing career in 1969 with the Raleigh Times, then Raleigh's afternoon newspaper, and joined the News & Observer when the two papers were merged in the late-1980s. Tudor left the News & Observer in 2013 and spent the past four years writing sports columns and commentary for WRAL.com, continuing to use the vast sports knowledge that his wife, Inez, said made him a "walking encyclopedia." Tudor was inducted into the N.C. Sports Hall of Fame in May 2017, calling his selection one of the greatest honors of his life. It was a reflection of the more than 6,000 columns and stories he authored at 40 ACC Tournaments, 24 Final Fours and countless other events, many written on his favorite if aging laptop, "Betsy." 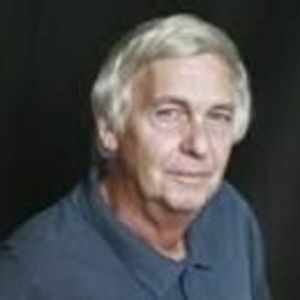 Tudor was a member of the U.S. Basketball Writers Association Hall of Fame and was named N.C. sportswriter of the year three times. Tudor, the son of the late Lee Wayne and Mary B. Tudor and said to be called "Caulton" only by his mother, was the kind of person who could brighten a room, whether at the NCAA Final Four, newspaper office or press box. A persistent reporter, his pleasant personality disarmed even the toughest of coaches and most suspecting of athletes. He was a storyteller, an insightful writer, injecting humor at times, always truthful and unfailingly fair. Tudor, once asked about his career, said: "My biggest thrill has been working alongside so many talented, dedicated people. I've also truly appreciated the readers - those who disagreed, those who agreed and those without a strong opinion who still took the time to read." Those who knew him, colleagues and friends, all have favorite "Toot" stories to share. His wife "Diz" has her own, and sweet memories of their many trips and adventures together along with good times spent with family friends. "Toot" enjoyed seeing his grandsons play sports and was able to attend the high-school graduations of John and Robbie Houston. Tudor is survived by his wife, Inez Coke Tudor of Raleigh; stepson John Lansing Houston, Jr. and wife, Janna R. Houston; and grandsons John, Robert, and Richard, all of Raleigh; brother Richard K. Tudor and wife, Amy, of Angier; daughter, Victoria; and niece Camille Peregoy and husband, Stewart. Funeral services will be held at White Memorial Presbyterian Church in Raleigh on Tuesday, Nov. 7, at 2 p.m. Visitation will be immediately after the service at White Memorial. In lieu of flowers, the family asks that donations in the name of Caulton W. Tudor be made to the Boys and Girls Club of North Carolina so that underprivileged children can play sports. Funeral arrangements by Brown-Wynne Funeral Home, St. Mary's St., Raleigh, NC.